This year my family has tried to attend several pageants (Manti Pageant, Hill Cumorah Pageant) but schedules haven’t worked out. Last night, we attended the Clarkston Pageant. Never heard of it? Neither had my wife. 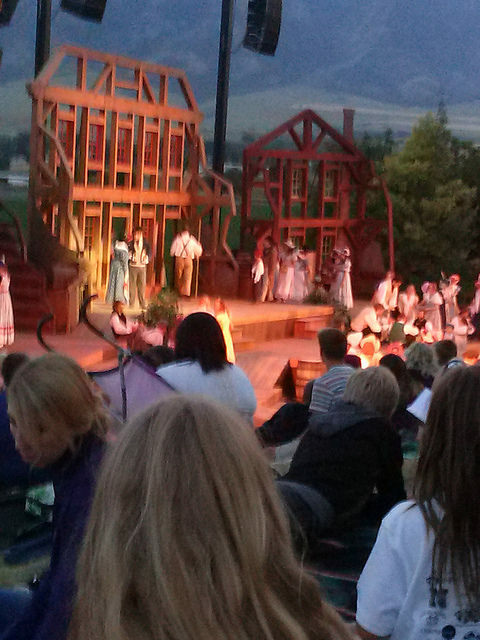 The pageant tells the story of Martin Harris and the Book of Mormon. Martin was the original scribe for Joseph Smith, and assisted Joseph Smith translate the Book of Lehi, originally 116 pages long. His wife Lucy, concerned that Martin was spending so much time with Joseph, wanted to see the manuscript and the plates. Martin pestered Joseph three times to see the manuscript, and finally Joseph agreed on the condition that Martin was only to show his wife and family. Martin lost the manuscript, and it has never been seen again. 20 years ago, I remember how distraught Martin was at the loss of the manuscript. He was distraught this time as well, but the play didn’t dwell as much on that. This time the play ended with Martin mortgaging his farm and house to pay for the Book of Mormon, triumphant when 5000 copies of the book were published. In the old play, it seems that they told of Martin leaving the church, becoming destitute, and then coming to Utah as an old man and being re-baptized. 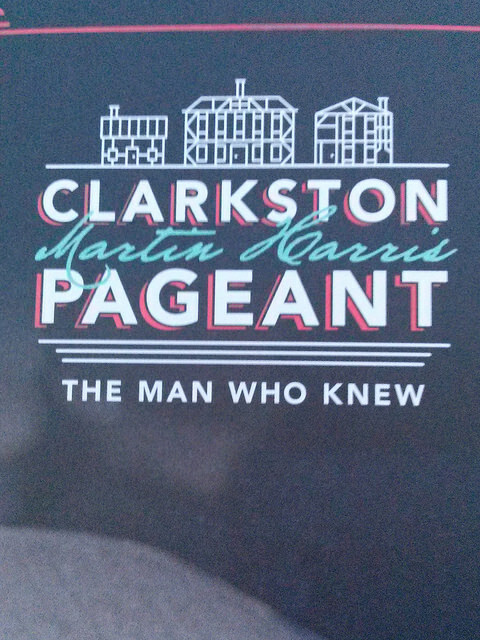 That part was completely left out of the current play, causing my wife to wonder why Clarkston had a pageant about Martin Harris in the first place. I told her that Martin Harris died in Clarkston, which was a surprise to her. I think that would have been a nice addition to the play, and I’m a little sad that they left that part out. The play actually takes place on the grounds of the cemetery where Martin is buried. One of the locals remarked that the play is much shorter and to the point. I think they actually cut out some important parts. In 1837, dissension arose in Kirtland over the failure of the church’s Kirtland Safety Society bank. Harris called it a “fraud” and was among the dissenters who broke with Smith and attempted to reorganize the church. Led by Warren Parrish, the reformers excommunicated Smith and Sidney Rigdon, who relocated to Far West, Missouri. In December 1837, Smith and the Kirtland High Council excommunicated twenty-eight individuals, Harris among them. The set with the scenic backdrop of the beautiful mountains of Clarkston. After Smith’s death, Harris continued this earlier pattern, remaining in Kirtland and accepting James J. Strang as Mormonism’s new prophet, who claimed to have a new set of supernatural plates and witnesses to authenticate them. In August 1846, Harris traveled on a mission to England for the Strangite church, but the Mormon conference there declined to listen to him; when he insisted on preaching outside the building, police removed him. By 1847, Harris had broken with Strang and accepted the leadership claims of fellow Book of Mormon witness David Whitmer. Mormon ApostleWilliam E. McLellin organized a Whitmerite congregation in Kirtland, and Harris became a member. By 1851, Harris had accepted another Latter Day Saint factional leader, Gladden Bishop, as prophet and joined Bishop’s Kirtland-based organization. In 1855, Harris joined with the last surviving brother of Joseph Smith, William Smith and declared that William was Joseph’s true successor. Harris was also briefly intrigued by the “Roll and Book,” a supernatural scripture delivered to the Shakers. By the 1860s, all of these organizations had either dissolved or declined. In 1856, his wife Caroline left him to gather with the Mormons in Utah Territory while he remained in Kirtland and gave tours of the temple to curious visitors. In 1870, at age 87, Harris moved to the Utah Territory and shortly thereafter was rebaptized into The Church of Jesus Christ of Latter-day Saints (LDS Church). Harris, who had been left destitute and without a congregation in Kirtland, accepted the assistance of members of the LDS Church, who raised $200 to help him move west. Harris lived the last four-and-a-half years of his life with relatives in Cache Valley. He died on July 10, 1875, in Clarkston, Utah Territory, and was buried there. What are your thoughts about Martin Harris? I know that there are Mormon Pageants in Mesa, Arizona and Nauvoo, Illinois. Have you attended any of these or other Mormon Pageants? I attended Manti at least four time during the 70’s and 80’s. I was young and not as knowledgable regarding history church and BoM history. I wonder if the script has been modified? Some of the old pageant script could be problematic today.